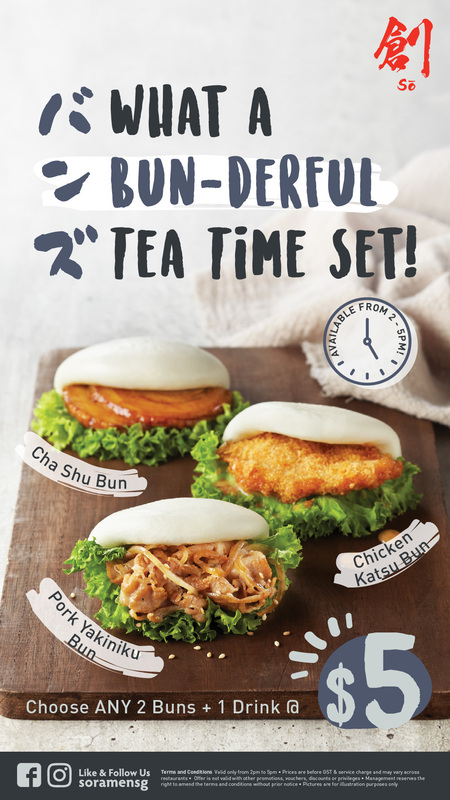 What a Bun-derful Tea Time Set! Enjoy any 2 Buns + 1 Drink at only $5 from 2 – 5pm! Time to treat yourself to our delectable tea time treats! *Selected drinks only. Terms and conditions apply. ©2017 創 (Sō). All Rights Reserved.